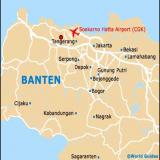 We are pleased to introduce our new affiliate in Indonesia, PT. 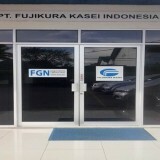 Fujikura Kasei Indonesia (FKKI) (formerly called PT. Cerplas Chemicals Indonesia.) Fujikura Kasei Co., Ltd. recently increased its shareholding ratio from 25% to 49%. The purpose of this company name change and shareholding ratio increase is to further expand our business in Indonesia, improve and enhance customer service and technical support, and to provide locally produced, marketable products as a member of FGN.